PHLster's new Floodlight holster indexes on the light. Tension is adjusted conventionally, with screws. The shock cord can be tightened or loosened based on the size of the slide, to prevent rattling. The basic concept seems like Jon used something like the VG3 from Raven as a jumping-off point, and extended it to enclose the slide. It can be carried vertically for AIWB or canted for conventional strong-side carry, and the mounting holes are repeated on the other side, so that the hardware can be flipped around, making for an ambidextrous rig. 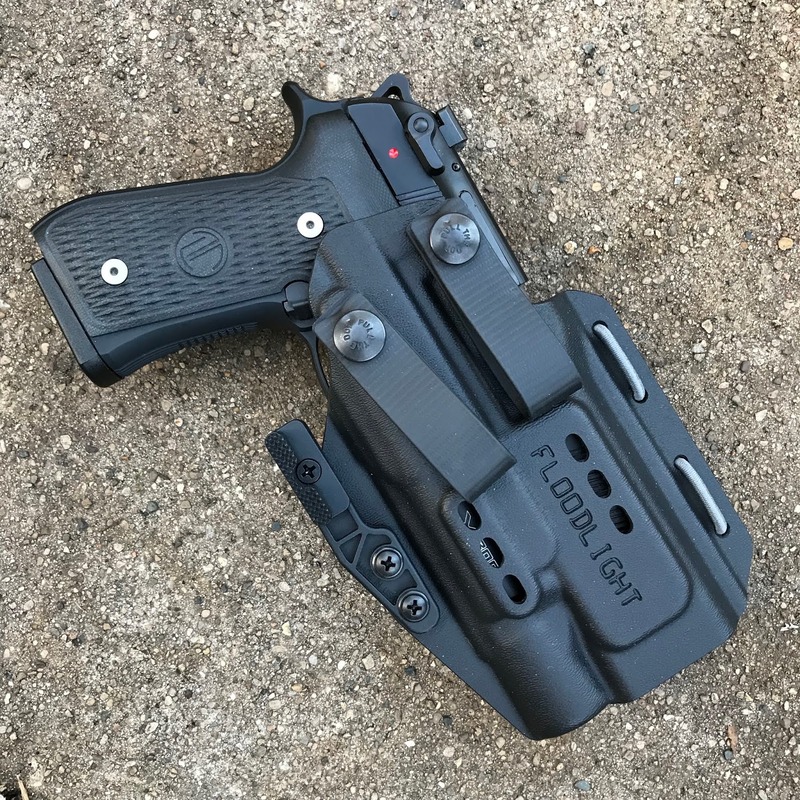 This really is a pretty clever holster, but only use will tell how it holds up for reals. I've tried it with the LTT Elite 92, a Glock 19, 20, & 34, Sig SP2022, HK P30L, CZ P07, Wilson EDC X9, and Beretta PX4 Storm so far, and they all have worked. I'm cautiously optimistic. A squirrel with a snowflake on its nose. "It feels good in my hand." We are all Pauline Kael now. "Why didn't anybody just shoot him?" This sling is so fast it makes you blink faster! It was a long day yesterday.